This article is about the guest star. For the character, see Simon Cowell (character). 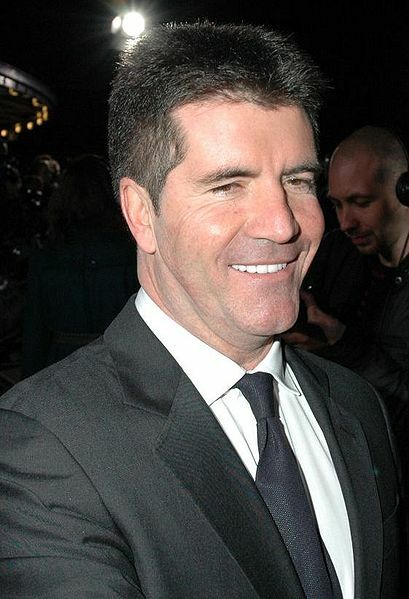 Simon Phillip Cowell (born October 7, 1959) is an English music executive and producer, best known for being a judge on American Idol, The X Factor, Britain's Got Talent, and America's Got Talent. He voiced Henry in the season 15 episode "Smart and Smarter" and himself in the season 21 episode "Judge Me Tender". He was also interviewed in The Simpsons: Celebrity Friends, The Simpsons: Mischief & Mayhem, and The Simpsons: Access All Areas. Footage of Henry was reused in the advert Springfield's Got Talent but he was Simon Cowell in the advert (due to the fact Henry and Simon look alike, they could get away with this) so Simon Cowell didn't voice anything new. Modified on February 24, 2015, at 17:04.